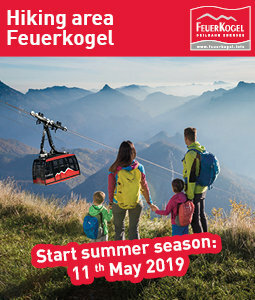 Experience the lakes in the UNESCO World Heritage region of Hallstatt Dachstein Salzkammergut at their best – during a boat trip with friends or the whole family. 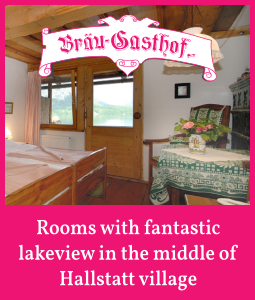 Enjoy the absolute peace on Lake Gosau and the fantastic panorama of Lake Hallstatt. 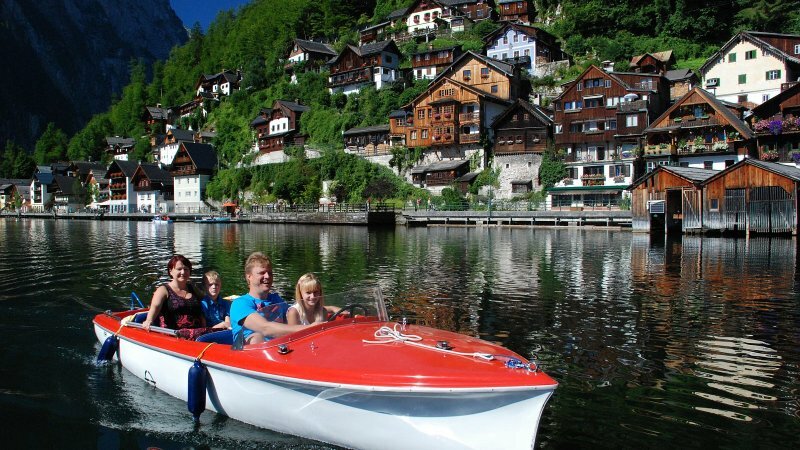 To skipper your “own” boat as “Captain for the day” on the lakes in Hallstatt, Gosau and Obertraun is as one of the most beautiful recreational activities in the Salzkammergut. 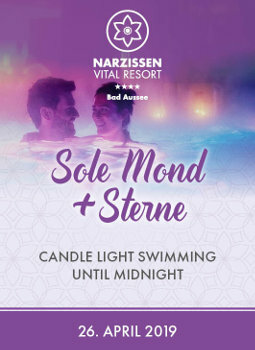 Whether rowing boat, sleek electric boat with a sun roof or Swan (pedal boat), here every recreational captain will get their money’s worth. To preserve nature and avoid noise pollution, the rental of motor boats is not permitted on any of our lakes. 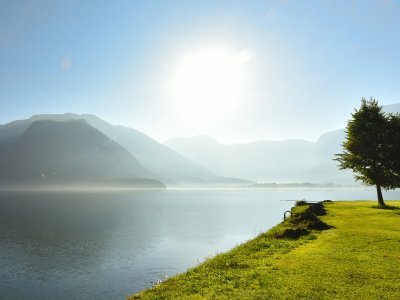 This allows you to enjoy your boat ride in peace and let your mind wander. 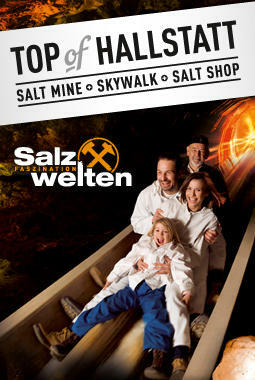 Explore the far corners and coves or simply take a sociable boat trip with family and friends. 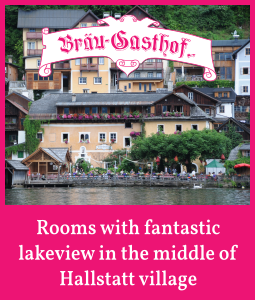 We hope you will enjoy a boat ride on Lake Hallstatt and Gosau. 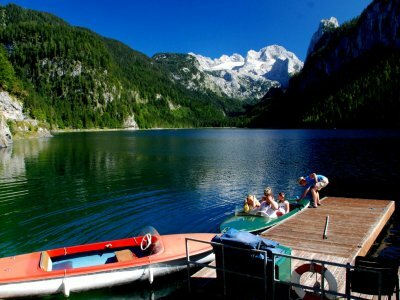 Gosau | Lake Gosau: Enjoy Lake Gosau, with the splendid view of the imposing Dachstein glacier, during a boat trip over the picturesque Lake Gosau. 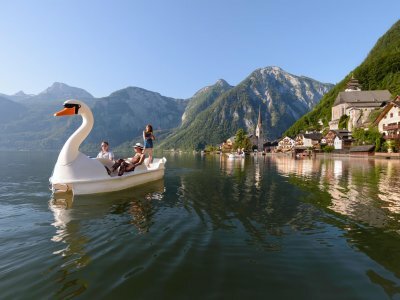 Hallstatt | Boat rental: Experience the lakes around Hallstatt at their best – during a boat trip with friends or the whole family. 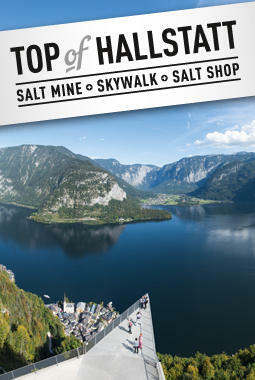 Enjoy the absolute the fantastic panorama of Lake Hallstatt.